This week Cheryl Akle is joined by best-selling Australian author Rachael Johns to discuss her latest novel Lost Without You – a fresh and poignant novel of family, journeys, past decisions … and dresses. Together they discuss Rachael’s writing process, and the people, stories, and places that inspire her work. 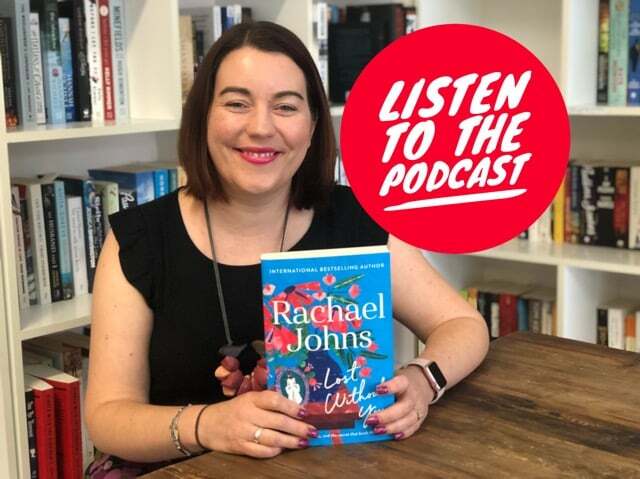 Rachael Johns is an English teacher by trade, a supermarket owner by day, a mum 24/7, and a writer by night. She lives in rural Western Australia with her hyperactive husband and three mostly-gorgeous heroes-in-training. At 17 she began writing, enlightened by the thought that she could create whatever ending she liked, and almost a decade later, after many, many attempts at writing different types of novels, she joined the Romance Writers of Australia association. It was there that Rachael learnt there was more to writing a book than just typing out random thoughts. She learnt about the craft, conflict, consistent characters, etc, and also discovered that she LOVED contemporary romance! She is the author of The Kissing Season, Tease Me, Cowboy, Man Drought, Jilted, Outback Dreams, Outback Blaze, Outback Ghost,The Next Season (ebook), and The Road to Hope. What a wonderful author you are Rachel Johns! Congrats on another cleverly written book.